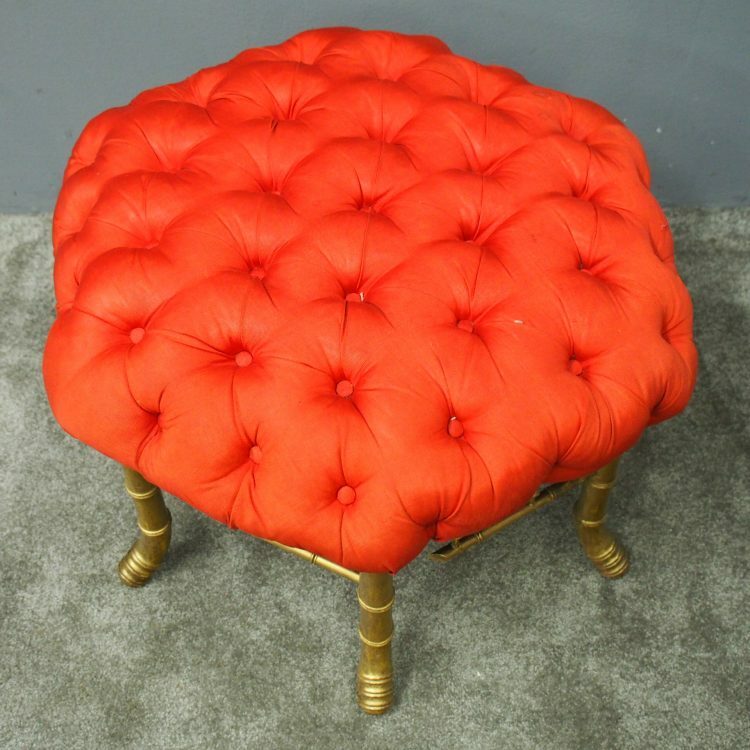 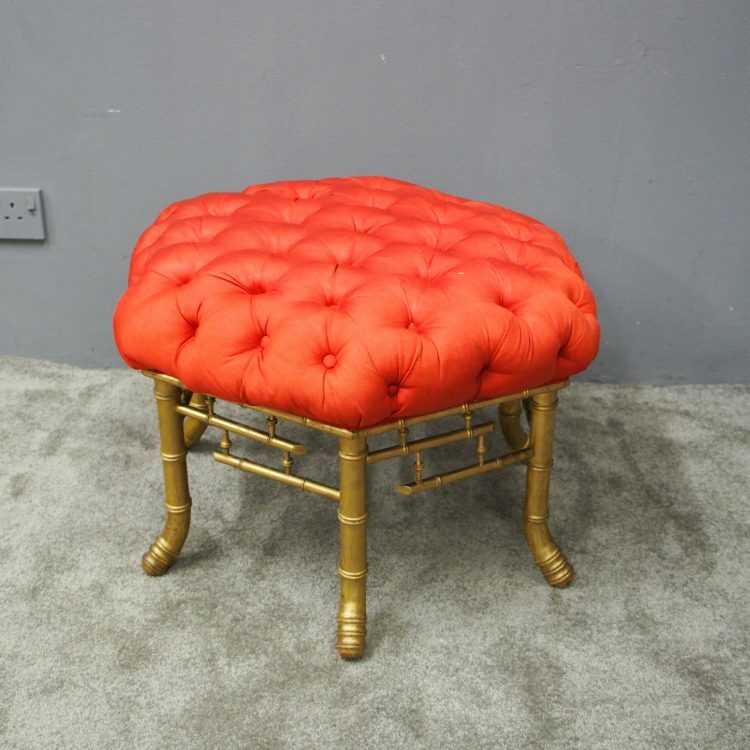 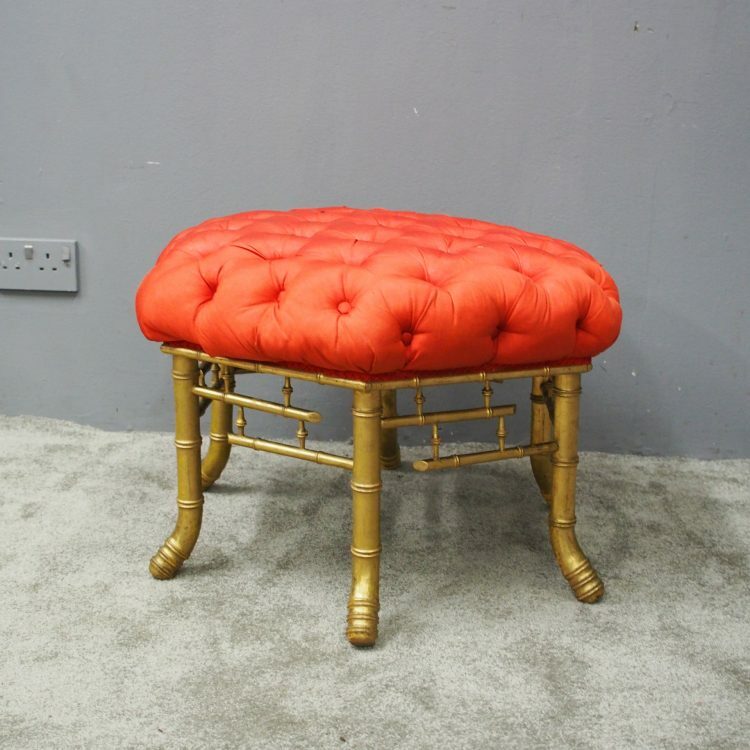 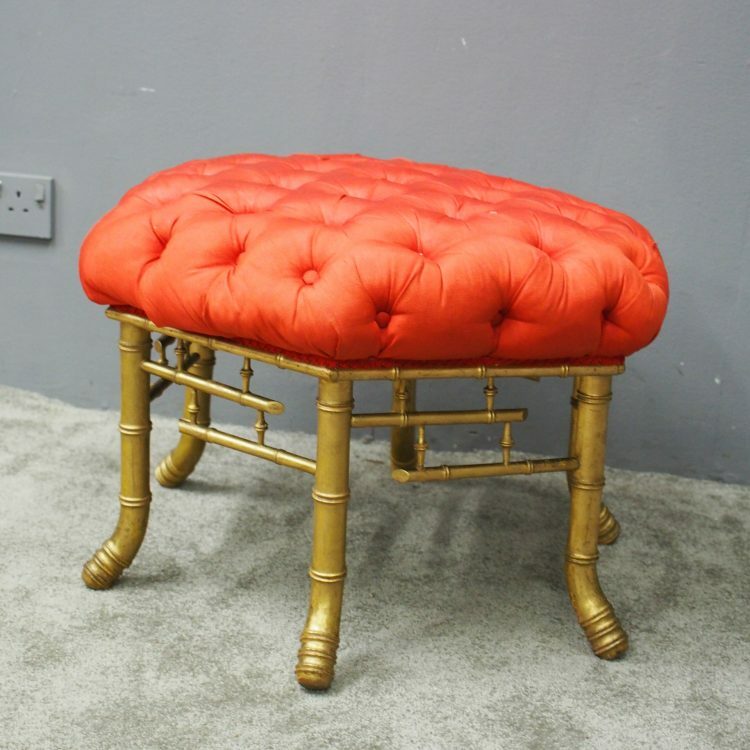 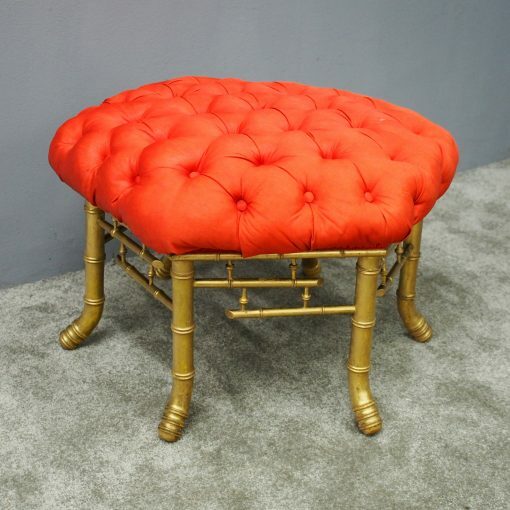 Circa 1870, French red silk, tufted, deep button stool. 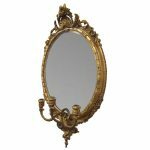 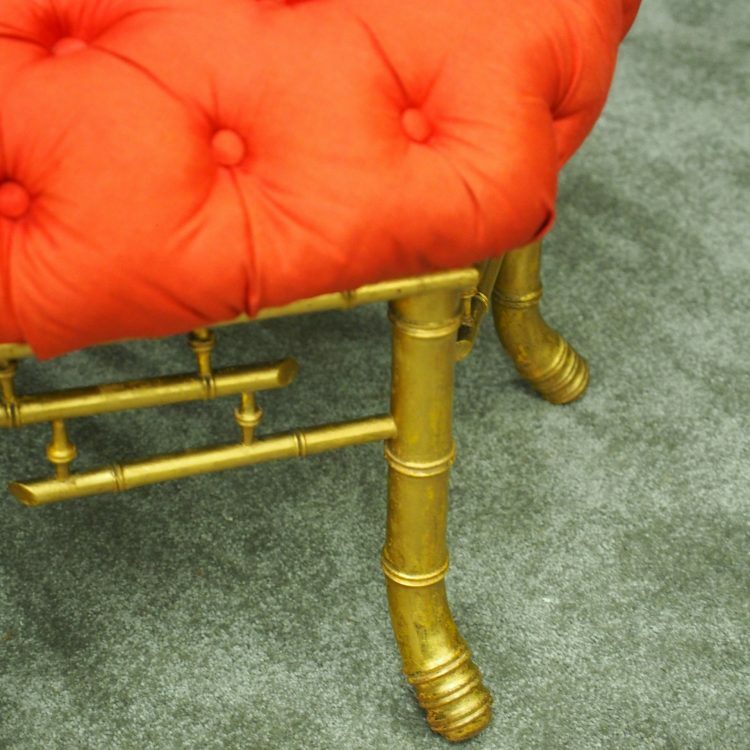 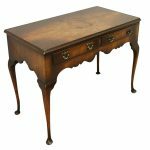 The elaborate upholstered top is on a gilded faux bamboo frame and is supported by a faux bamboo stretcher. 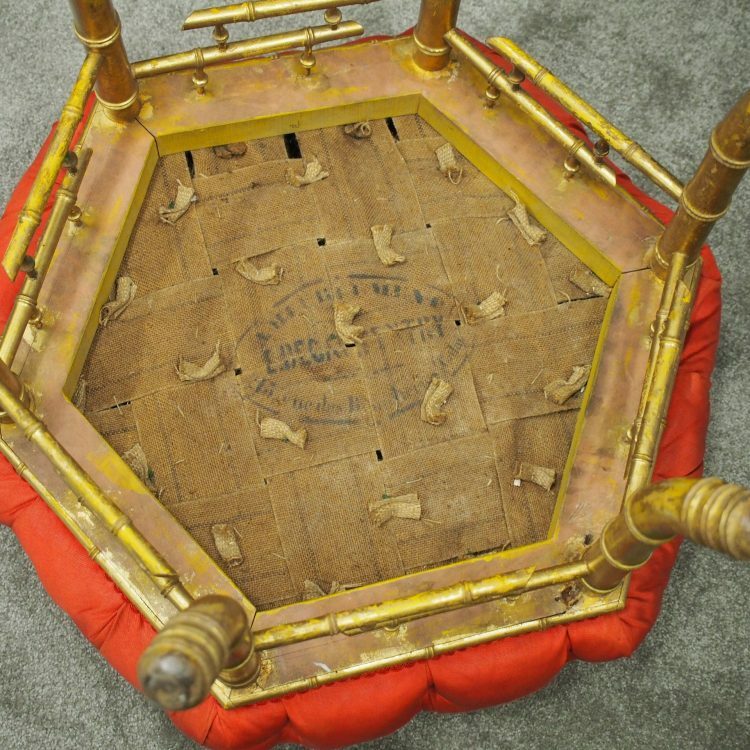 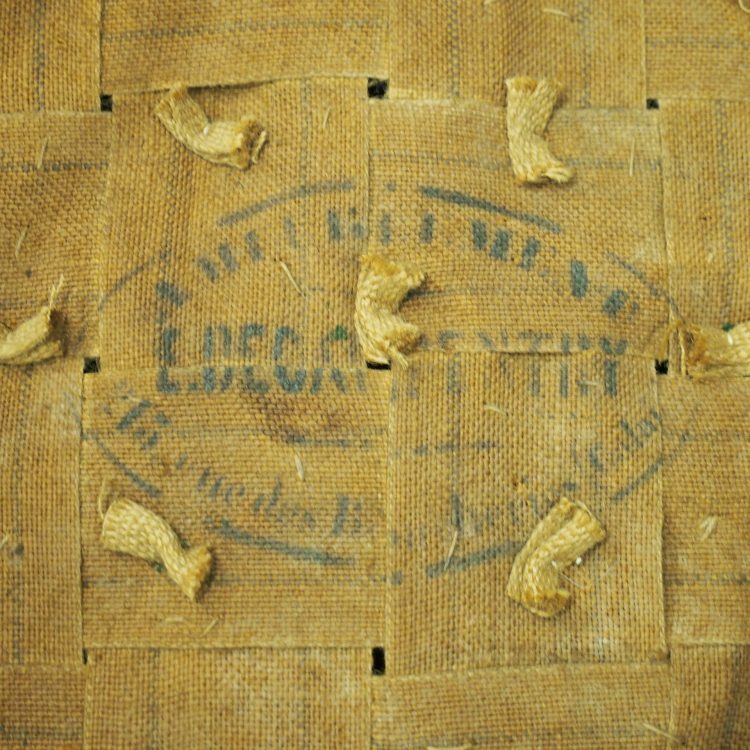 Underneath is an original makers label.